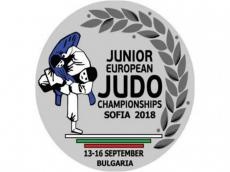 Azerbaijani fighter Murad Fatiyev has grabbed a bronze medal on the second day of the Junior European Judo Championships in Sofia, Bulgaria. Fatiyev secured the medal in the men`s 81kg weight category. Azerbaijani judokas claimed four medals, including a gold on the first day of the tournament. The European Championships brings together more than 400 judo fighters from 42 countries.